The Fraternity of Alpha Kappa Lambda is a collegiate social fraternity for men founded in 1914 at the University of California- Berkeley. Today, it operates approximately 40 active chapters and colonies and boasts over 26,000 initiated members. He continues, “And seven years later…in response to the suggestion of Benjamin Ide Wheeler, president of the University of California, we organized our house club as a national fraternity of one chapter.” The founders of Los Amigos were a diverse group, but they shared a common desire for studious living in a college environment and continued integrity after their formal education concluded. The profiles of the eleven founding members of Los Amigos are given in the order in which their names appeared on the signatory page of the constitution of Los Amigos. They were “typical” college men in many ways, yet atypical in their desire to foster brotherhood, scholarship, and service through their club. Herman Ritchie “Dickie” Bergh was described as a “very likable chap of the happy-go-lucky type. Often broke of money, he was never broke in friends.” Bergh was a student of the College of Social Sciences. 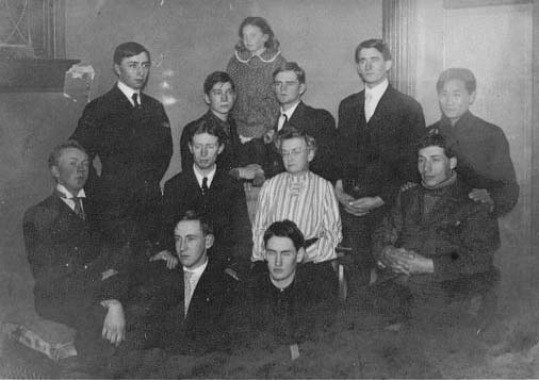 After his graduation in 1912, he had the desire to become a foreign missionary. He worked as a company representative in South America briefly before going into real estate in Los Angeles. Harold Alonzo “Hal” Savage was the politician of the Los Amigos Club, and a student of law. He helped to bring Los Amigos early recognition by being elected President of his sophomore class. He graduated in 1910, and he later became a leading attorney, specializing in mining law. Allen Holmes Kimball was an architectural student, who used his artistic abilities to decorate and furnish the club’s modest house comfortably. After graduation in 1910, Kimball designed a new Alpha Chapter house. For many years he was a Professor of Architecture at Iowa State University in Ames, Iowa, and went on to become one of America’s prominent architects. Charles Oscar “Oscar” Perrine was in Los Amigos only a short time. He graduated in 1910 but returned later to help with the expansion of the new Fraternity after its founding. Gail Cleland described him as a “tall, strong, silent man who proved remarkably wise and well balanced.” He became involved in several ranching ventures, but later made a name for himself as a commercial photographer. Ludwig Rehfuess was registered in the College of Mechanics and was a man described by one of Alpha Kappa Lambda’s charter members, Frank Bloomer (Alpha, California ’08), as “always full of life and energy. Some of us thought his opinions rather radical on certain questions, but withal, Ludwig was a wonderful soul, absolutely genuine.” Rehfuess met an untimely death by drowning in Yosemite Valley in June 1911, only a year after receiving his degree. Rehfuess’ name appears as the first entry of our Omega Chapter. Gail Cleland “Serious-minded served as a dignifying influence for the group. After graduating from the College of Letters in 1909, Cleland traveled as an educator to Japan and entered the ministry when he returned home. Cleland was the last surviving member of Los Amigos when he passed away in 1977. Charles Junius “Charlie” Booth was an agriculture student with a great interest in debating, which won him forensic prizes and prestige for Los Amigos. Booth was the club’s idealist, and he took a major role in fixing its standards in its formative stages. Booth graduated from the university in 1908 and later became a noted educator and Dean of Men at a college in California for nearly forty years. William Barnum was a student in the College of Natural Sciences. During his college days, he was active in the Glee Club. Following his graduation, he became well established as an educator in California. Leonard Herington Day, another agriculture student, was one of the more “solid” types in the club, who helped hold the chapter together. After he was graduated in 1909, he went on to specialize in agricultural research and education, and later became a famous entomologist for the State of California. Joseph Leon “Joe” Taylor, the eleventh of the founders of Los Amigos, was described as “a little fellow and rather quiet, but he was always reliable and dependable, a real asset to the organization.” He graduated in 1908 and later became a teacher of mathematics and engineering. 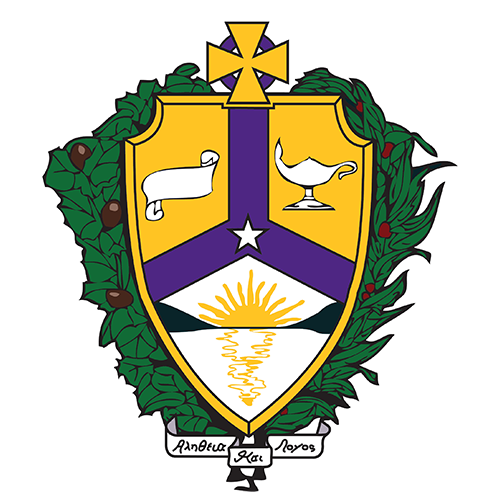 William B. Herms, the first National President of Alpha Kappa Lambda, said that “in erecting a great edifice, the foundation is of prime importance.” Indeed, Alpha Kappa Lambda was founded upon certain principles have served as guiding forces for development and growth, these are our Five Ideals. The Five Ideals are embodied in our history. While the founding fathers of the Fraternity had specific goals, their goals are not the same as ours today. A tradition has been passed down through our chain of brotherhood. It is essential for us to define how these Five Ideals apply to our present-day lives. 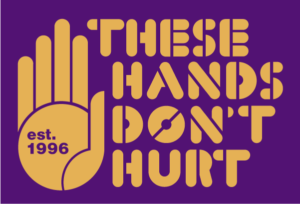 The Fraternity of Alpha Kappa Lambda understands that sexual assault and domestic violence is a serious problem in society today. “These Hands Don’t Hurt” was initially established to raise awareness and educate college students about these issues. Today, that is not enough. We must be working to change individual behavior, not just of college men, but of all those around us. This change is more complicated and will not be sufficiently achieved wherever the low goal of raising awareness and explaining rules and policies is the standard. This matters because we must avoid the false sense of accomplishment. Adopt-A-School was endorsed by the National Executive Council during their Winter 1994 meeting. The goal of Adopt-A-School is to provide for the formation of one-on-one relationships between college students and local elementary school children. This program provides an opportunity for college students to give something back to their host communities by devoting their spare time to elementary school children. The Cystic Fibrosis Foundation (CFF) was chosen in 1990 as one of AKL National Philanthropies because of the urgent need to change the outlook for individuals with Cystic Fibrosis, and benefit today’s children and young adults from these changes. Researchers are on the brink of far-reaching discoveries about the mechanisms by which Cystic Fibrosis affects the body. With Alpha Kappa Lambda help, we hope the future for those who have Cystic Fibrosis will become much brighter. 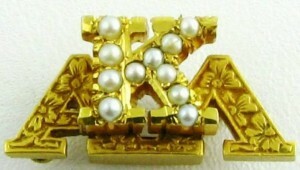 The Fraternity of Alpha Kappa Lambda Badge is made of ten-carat gold and set with eleven whole pearls. An “Alpha” and “Lambda” rest in the background, covered in the flowers of the dogwood, and the “Kappa” is raised to the forefront. 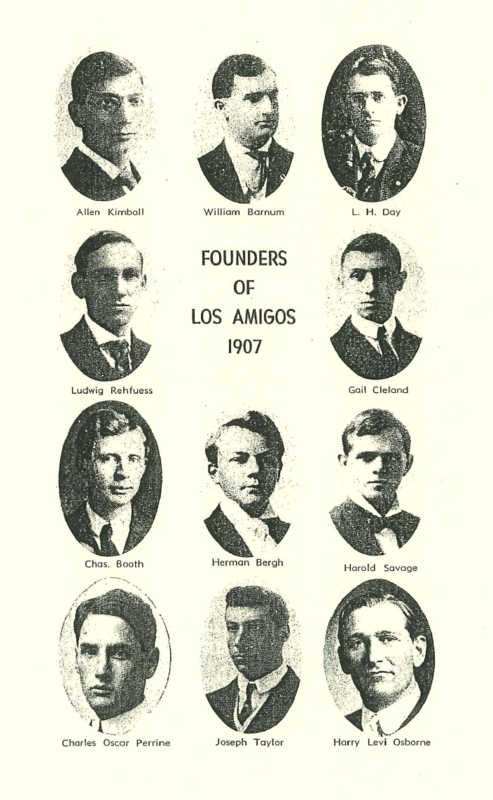 Among other values known to members, the eleven pearls represent the original founders of Los Amigos Club. The badge is worn only on shirts, sweaters, or suit vests, and in the traditional position over the heart. It is never to be worn as a tie-tac or a lapel pin. Each member will receive a gold plate badge from the National Headquarters after initiation into AKL. 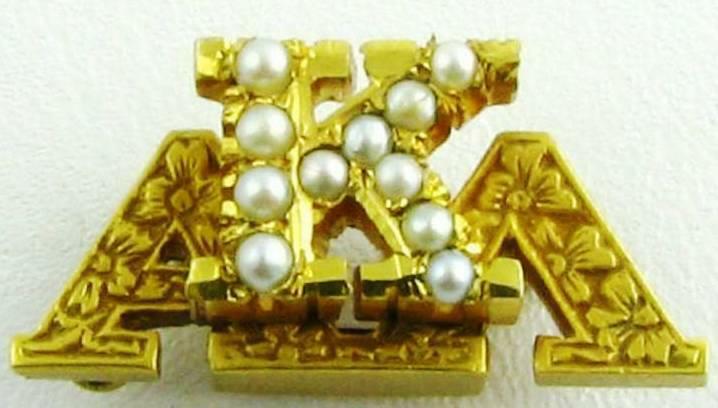 The Pearl Badge can be ordered through the National Fraternity official jeweler via the AKL Store. The AKL Colony Pin is diamond-shaped, with blue over gold with has the gold letters “AKL” vertically on its face. The shape is that of the original recognition badge of Los Amigos Club, and the colors are those of the University of California- Berkeley. The Colony Pin is worn by colony members until chartering. It should be worn under the same circumstances as the badge. The Official Colors are purple and gold, both of which dominate AKL insignia and paraphernalia. The Official Flag measures three-feet by five-feet and is set with the Coat of Arms above the Greek letters “AKL” on a purple and gold background. 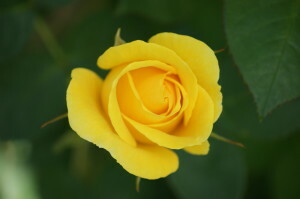 The Official Flower is the ‘Souvenir de Claudius Pernet’, described as a tantalizing yellow rose. It was adopted at the Sixth National Conclave in 1927 because “its deep golden color matched well the colors of Alpha Kappa Lambda.” While the ‘Souvenir de Claudius Pernet’ itself is no longer widely grown, it has many hybridized descendants. The rose was originally bred by a famous French rose-breeder, Monsieur Joseph Pernet-Ducher, who named the rose after one of his sons who died in World War I.
Twenty-Five Year and Fifty-Year Longevity Pins are both available for those in recognition of their commitment to Alpha Kappa Lambda. The Fifty-Year Longevity Pin will be sent to all members with a correct address during their milestone year. Twenty-Five Year Longevity Pins are available upon request from the National Headquarters. Both are distributed at National Fraternity events when possible. Official Fraternity Ring, Tie-Tacks, Lavalieres, and other jewelry may be ordered through the National Fraternity official jeweler via the AKL Store.